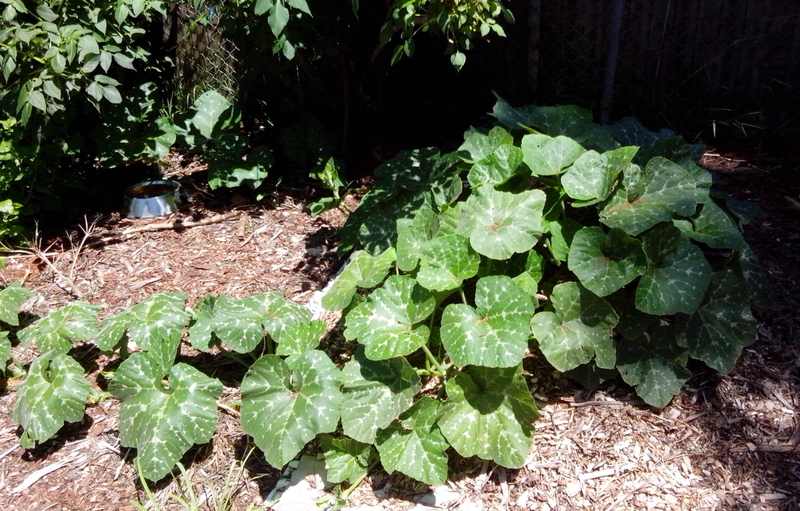 The pumpkin plant is a large and rambling one that can take up a lot of space. It is best planted along the side of the garden and managed to keep it from sprawling into garden beds. It has been known to ramble up trees and even grow pumpkins up high if they are supported. This being said they can be pruned to maximize the energy to fewer but better quality fruits if space is at a premium. The site should be full sun to partial shade and have rich soil with lots of compost and aged manures dug in 4-6 weeks before sowing. Pumpkins are heavy feeders and need the soil to be well enriched. The soil should be mounded up and the seed planted directly into the soil. This will provide good drainage and the seeds will emerge more quickly. 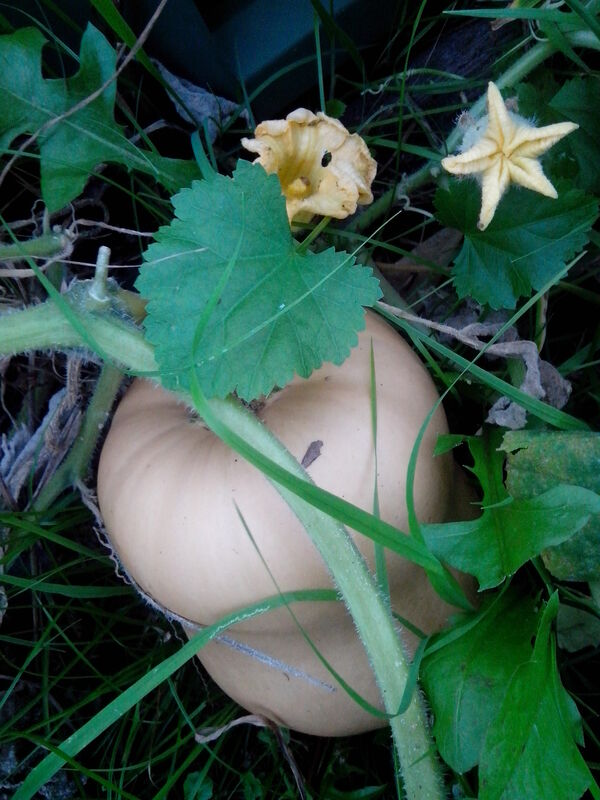 In fact, last year a couple of plants germinated in the compost heap(a natural mound) and grew prolifically and so well that they yielded 30 mature pumpkins. Because of their early requirement for nitrogen the plants can follow nitrogen fixing legumes or a green manure crop in the crop rotation schedule. Sow 3 seeds per mound to a depth of 2.5 cm. They will germinate in 5-7 days. When the seedlings are about 5-7 cm tall they can be thinned out to the strongest plant. Mulch well around the pumpkin plants to conserve moisture and suppress weeds as their root system is shallow and delicate and they do not like the soil disturbed too much around the plant. As the pumpkin is such a heavy feeder regular feeding with compost teas will boost growth and dressing with potash before flowering time will enhance the setting of fruit. The vine needs both male and female flowers to set fruit. The first flowers on the plant will be the first to appear followed by 2 or three female flowers. The plant is vulnerable to powdery mildew in shaded humid conditions or in prolonged rainy period and this can also affect successful pollination of flowers. Plant companion flowering plants in the garden to attract bees and ensure good pollination. Always water from below early in the day to protect from mildew. When cutting the pumpkins from the vine leave about 7-10 cm of the stem to prevent rotting. 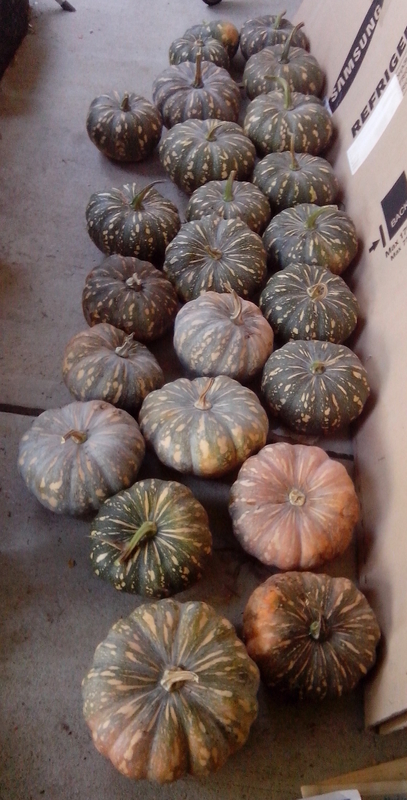 Pumpkins can be cured in the sun for a week and then stored in a cool dry place. Pumpkins take about 15-25 weeks depending on the variety. Check the seed packaging for an indication. Butternut types will take 15-18 weeks, whereas the Jap variety will take 20-25 weeks from sowing to harvest. 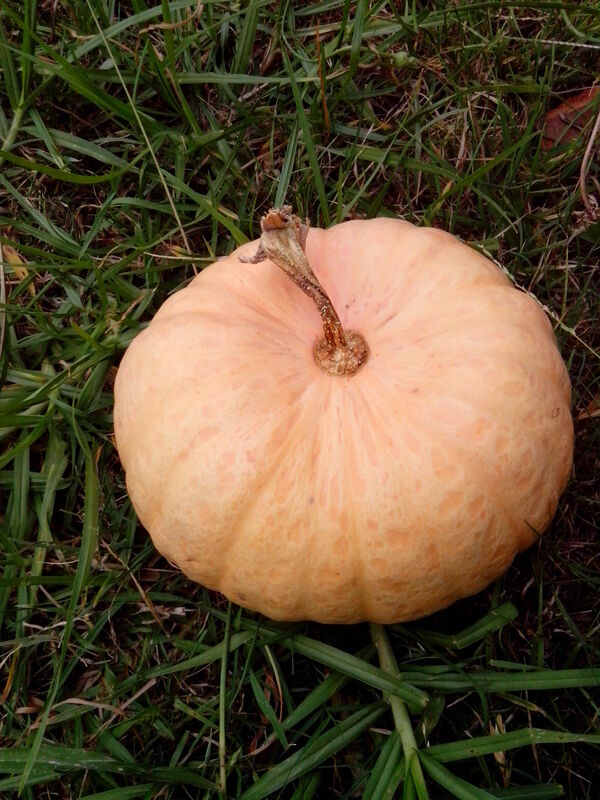 The pumpkins will be ready to harvest when they are a good colour and the vines die down, the will feel hard and resistant to piercing and will sound hollow when gently drummed.The stalk attached to the pumpkin will also harden and wither.